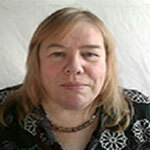 Professor Carol Bond, Professor of Learning and Teaching in Health, is a Chartered Fellow of BCS, the Chartered Institute for IT, and a member of the International Medical Informatics Association’s Nursing group. Generally when the NHS thinks about investment in IT the focus is on hospital and clinical systems, and the healthcare professionals that use them. The needs of the most important part of the system is generally overlooked – the needs of the patient. One of the major needs patients have is for information. A study carried out by myself and Dr Hewitt-Taylor ([i]) found that people living with long term conditions did not rely solely on information from healthcare professionals, but liked to access information from a variety of sources to support their condition. This is equally true if they are in hospital, or in the community. A PhD study by Dr Gashoot ([ii]) that I supervised looked at patient priorities for the hospital environment and as well as aesthetic elements availability of technology and networks was a very important for patients. As well as having access to information they wanted to stay in contact with the outside world and, most importantly, their significant others. It isn’t long ago that hospitals tried to ban patients from using mobile phones in hospital. Most hospitals have now accepted the reality that whatever rules they might try to impose people are not going to give their phones up just because they are now a ‘patient’. It still however isn’t universal that patients have access to good networks within healthcare facilities. This should be a high priority, both to ensure that patients have access to information to support their medical condition and to their support networks for their mental health and wellbeing while they are a patient, in what is for most people a strange and often worrying environment. Patients with multiple long-term conditions are a group that are known to put a lot of strain on healthcare services. Technology is one route to help this group of people maintain their health – a benefit for them and the health service. An evaluation of a telehealth service that I led ()[iii] found that a lot of patients saw telehealth as a way of developing better self management - something that given access to the tools they did themselves, rather than waiting to be ‘educated’ by healthcare professionals. They also valued the freedom that telehealth gave them, enabling them to monitor their condition without needing to wait for a nurse to visit. A major disadvantage of telehealth that we found was that patients were expected to graduate from the telehealth system when they were self-managing well, effectively removing the very tools that supported their good self management. Many tools are available on the market, but they are of variable quality, and can be expensive so good quality, reliable equipment may not be available to the very people who need them most. Investing in direct patient support would be a good use of some of the money available. The final investment needed to make this happen isn’t actually technology at all. Merely inserting technology into the current ways of working will not maximise the potential benefits. Think of Mrs Smith at home with her self monitoring system. With a combination of her knowledge of her condition, the results of monitoring and the support of a background AI system she will know when her condition is deteriorating, with an agreed protocol she can adjust her medication, and take other actions herself, but if that doesn’t work she will need to contact her healthcare professional, early, before she is poorly enough to need to be admitted to hospital for treatment. If at that point she has to sit on the telephone for half an hour to try to get an appointment with her GP, and is offered one 48 hours, or even 24 hours later the benefit will be lost. As well as her home technology she needs a system at her GP surgery where she can fast track sending her results and actions taken and know she will get a response with minutes rather than hours or days.